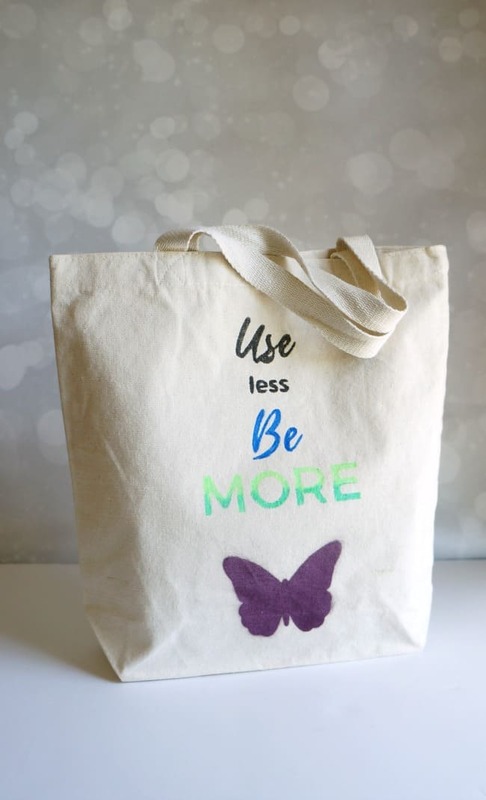 A cute reusable tote is a necessity, I keep them in my car and around my house for just about everything. 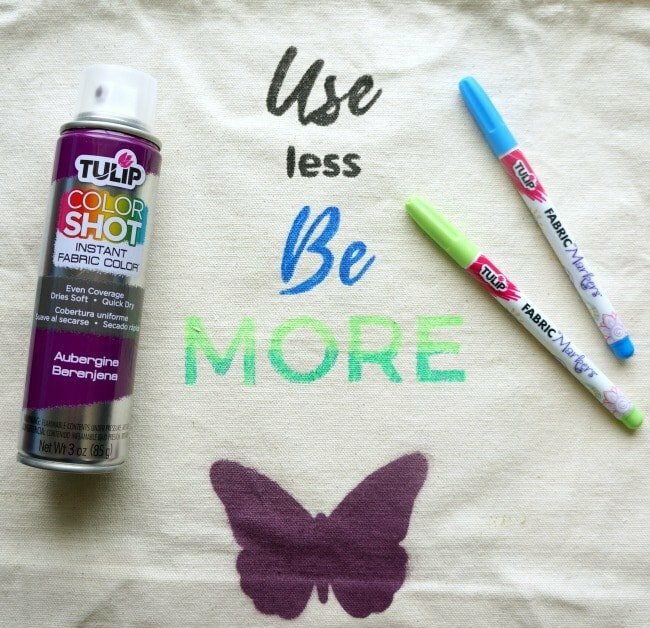 Ditch the plastic bags and make a personalized dyed reusable tote, get all the details below. I have been collecting free tote bags for years. I use them for groceries, library books, gym bags and more. 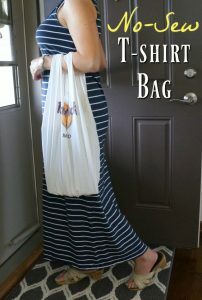 I also have a few that I purchased or upcycled like this t-shirt bag. 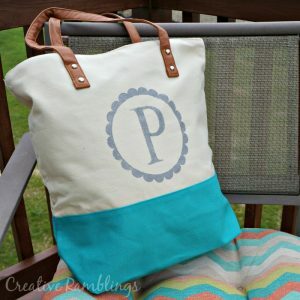 I came across this basic canvas tote, a really solid bag that can hold a lot, and turned it into a go-to tote for summer. 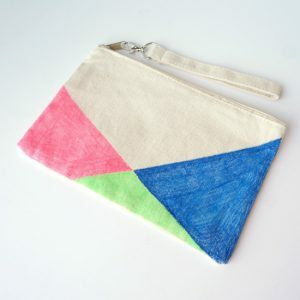 I dyed it with Tulip fabric markers and color shot to make sure my design lasts and the bag can be washed when needed. I created a design using my Silhouette software, you could also use a premade stencil. 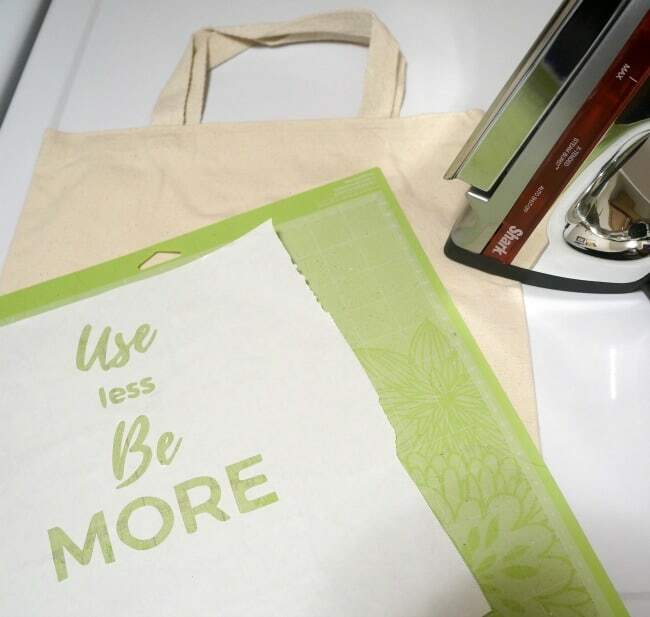 I typed “Use less Be more” and cut it out of Freezer paper. Freezer paper adheres to fabric with a hot iron creating crisp lines. 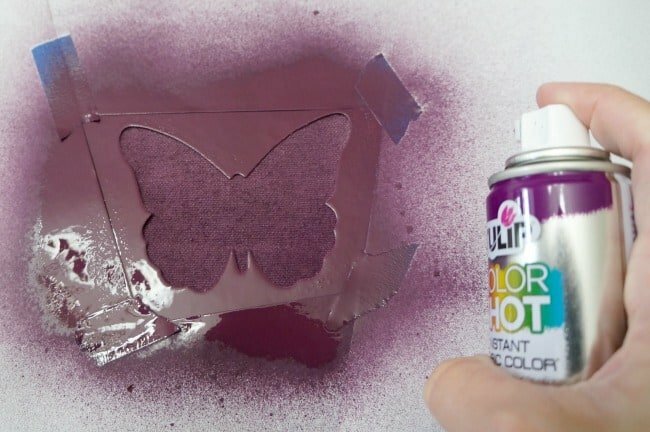 Learn more about freezer paper stencils here. 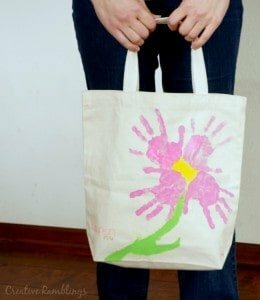 After I created and cut my design, I ironed it onto the canvas tote. Next, I used the fabric markers to color in the design. These markers don’t bleed and leave behind vibrant colors. 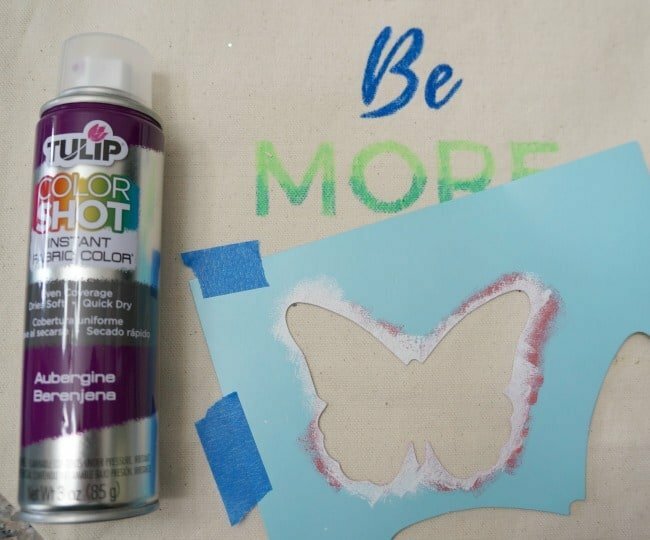 For the butterfly, a last minute addition, I used a paper stencil from my craft stash and sprayed it with Tulip color shot. I covered the area around the stencil to keep the dye where I wanted it. Thimadeed fabric dying so easy and the color looks great. This dyed reusable tote sums up how I really feel about plastic bags. Who needs them? I’d much rather tote around this pretty bag. 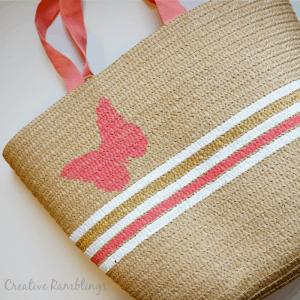 Be sure to pin this project and come back to the tutorial when you are ready to make your own. 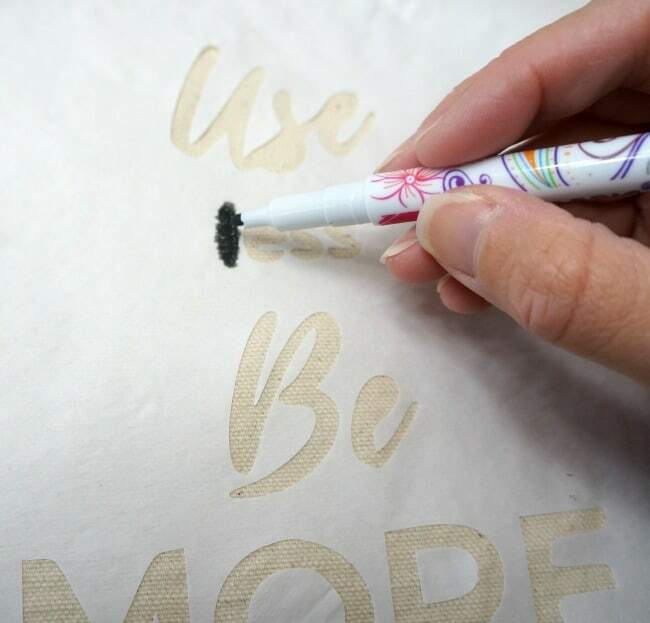 Head back to the supply list and pick up some fabric markers to start making your own cute tote bags.